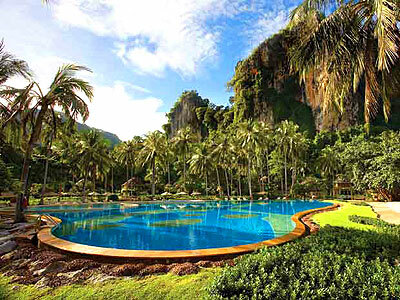 Bhu Nga Thani Resort and Spa is located on the Railay East beach where the resort looks on to the preserved mangrove forest and the ocean beyond. 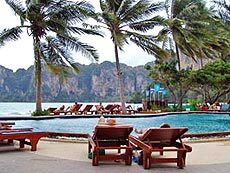 What makes Railay beach a charming destination is its secluded location and unbeatable beach and Krabi\'s famous limestone cliff scenery. 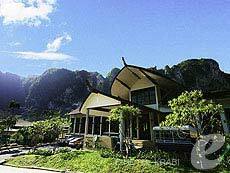 Although it is part of mainland, it can only be accessible by boat. Centara Grand Beach Resort & Villas Krabi is located directly on the beach at secluded Pai Plong Bay, one bay away from the main resort area of Ao Nang, The Resort\\\'s location which monopoly whole the beach provides superb views of the verdant limestone formations that characterize this beautiful part of Southern Thailand. The resort is ideally suited for couples and families alike, with an extensive range of spacious room types starting from 72 square meters in area. 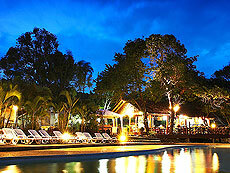 Facilities include a SPA Cenvaree, a fitness centre and a PADI dive and water sports centre. 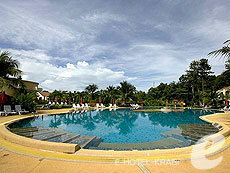 Professionally managed kids’ club and play areas are also available. 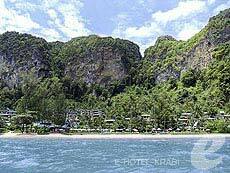 from Airport 60 min to Krabi Airport by boat and taxi. 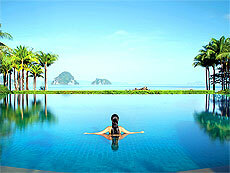 Escape to Phulay Bay and uncover a luxury experience you in Krabi will treasure forever. 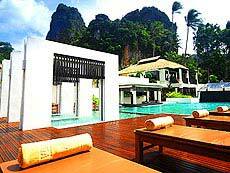 Featuring spacious, luxury appointed villas, personalized butler service and lavish amenities nothing is forgotten. Additional amenities include an infinity pool, destination spa, fitness center, Yoga and Pilates Studio and a large variety of resort activities for Kids and Adults. 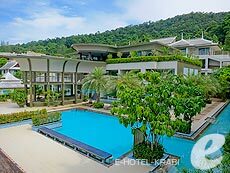 Rayavadee is located at the heart of the stunning Phra Nang Peninsular on the edge of Railay Beach, nestles in the amidst tropical gardens and coconut groves against a backdrop of Krabi\'s famous great cliff view and the clear waters of the Andaman Sea. 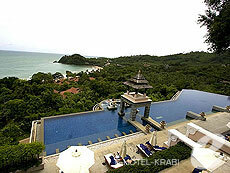 The resort offers stylish, five-star accommodation, fine cuisine, unique relaxation spas with warm, attentive service.